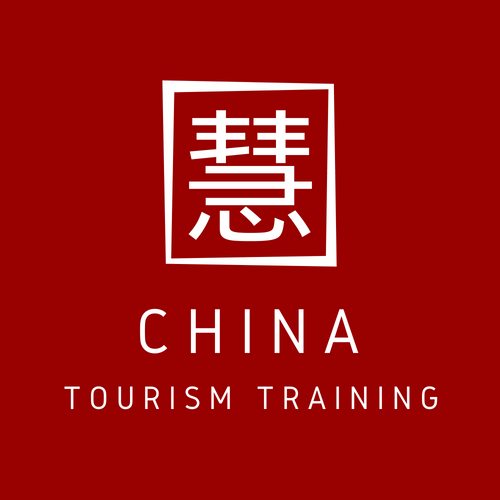 The introduction of the specialised Asia Inspiration Zone firmly established discussions about Chinese outbound tourism as some of the key topics at this year’s WTM London fair. COTRI had the honour of hosting the first presentation in the new event area, inviting Ctrip Customized Travel CEO Kane Xu, Ctrip TTD Europe Director Charles Liu, co-founder of car rental start-up Huizuche Yi Liu and Jeremy Abbott, Alipay’s Head of UK & Ireland to discuss the matter of “How Chinese demands and innovations change the global tourism industry”. With technology both spurring and responding to the evolving habits of Chinese travellers, the respective speakers each provided their insights into the means in which their respective organisation was contributing to development in the field of Chinese outbound tourism. While Kane Xu was able to illustrate how the Ctrip Customized Travel platform helps to drive progress by enabling customers to access ‘unique’ products that meet their demands for increasingly experience-based travel products, UnionPay’s Jeremy Abbott outlined how his company was innovating as a reaction to the growth of Alipay and WeChat Pay in overseas destinations and developing its own mobile payment service that would leverage its far-reaching network of existing contracts with overseas merchants in order to boost its market share. Furthermore, speaker Yi Liu was able to demonstrate the extent to which Huizuche’s understanding of the particular needs of Chinese self-driving overseas tourists can be served and combined with other targeted offers, while Charles Liu of Ctrip TTD highlighted the pioneering services his company’s platform could offer directly to travelling customers, including virtual tour groups and ever-improving language tools. Serving as moderator for the event, COTRI Director Prof. Dr. Wolfgang Georg Arlt contextualised private sector innovation within the framework of wider developments, highlighting factors such as the March 2018 establishment of the Chinese Ministry of Culture and Tourism and the increasing number of destinations easing tourist visa requirements for Chinese nationals as circumstances that have been influencing market trends. At a later presentation covering the potential that social media provides for tapping into the Chinese outbound market Dragon Trail Interactive Communications Manager Sienna Parulis-Cook urged international tourism service providers to market themselves via WeChat – the “Swiss Army Knife” of Chinese social media – while Managing Director at Capela China Gary Grieve encouraged attendees to facilitate Chinese visitors’ sharing of posts related to their business on such platforms by ensuring they provide free Wi-Fi and develop an appropriate Chinese name, allowing for tourists to better tag and share relevant content. On the second day of the event, Prof. Arlt served as a speaker at the Asia Inspiration Zone’s “Responsible Tourism and China” talk in which he made the case that, on account of their higher levels of flexibility, Chinese travellers can, in fact, help mitigate, rather than contribute to overtourism. That afternoon ForwardKeys’ Olivier Ponti highlighted the impact that direct flight connections with China can have in numbers of Chinese arrivals to various countries, citing statistics related to recent successes in long-haul destinations including Serbia and Ireland as prime examples. A significant China-related headline to emerge from this year’s WTM fair was, nevertheless, related to inbound, rather than outbound tourism. Presenting their recently-published Megatrends Shaping the Future of Travel, Euromonitor International’s Wouter Geerts and Caroline Bremner announced that China would overtake France to become the world’s most visited country by 2030, notably attributing the growth to circumstances including the increased economic opportunities for the region’s growing consumer classes and liberalised tourist visa services, factors which have previously fuelled the growth of Chinese outbound travellers to become the world’s largest by volume.